Most people have likely never heard of water hammer issues, and while they may seem foreign and complicated, many Canadians have dealt with the issue at some point in their lives. For instance, if you have heard a strange pounding or thumping after having turned off a faucet, then you have experienced the water hammer effect. Water hammering refers to the effect whereby water suddenly changes direction. Pressure waves hit the pipes due to the drastic movement change, and in some cases, the pressure can be so high that it can seriously damage pipes. Here, we provide some solutions to solve water hammer issues in the home. An air chamber is a very handy apparatus for solving water hammer issues, as it will prevent the water from generating waves that will move through your pipes. For those unaware, an air chamber serves as a vertical pipe that is affixed to a wall cavity next to your water valves. It is usually found near the valves where the water is turned off and on. We would also recommend that you install air chambers at several critical junctions or locations throughout your domicile or property. Also, if you call an inspector in, then they won’t be able to determine if your air chambers are working by simply looking at your pipes. The first thing you will need to do is turn off your primary water valve. The highest water faucet in the domicile should then be opened. Then, the water from all the pipelines should be drained via the lowest water faucet. In most cases, the lowest water faucet is situated in the basement or the front yard of the building. Once you open the faucet, the water will be replaced by air in the pipeline. The end result is all of the air chambers will automatically be filled up. After the water has stopped flowing completely from the faucet, you will need to shut off the lowest water faucet and activate the primary valve instead. Air will then be expelled from the horizontal-vertical water lines as well as the open lines. You will hear some sputtering noises as the air exits the faucets inside. However, air will still remain in the chambers, which will take care of the water hammering effect. In some cases, the air chambers may not drain as intended. The air chamber that is installed should be larger than the water supply line in order to reduce the probability of clogging. Clogging is the main reason why air chambers don’t drain as they should. To properly clean your air chambers, you should remove the cap from the pipe and remove any debris that has accumulated inside the chamber. An air chamber is essentially a shock absorber that has the ability to reduce water pressure changes that can lead to the dreaded water hammer effect. 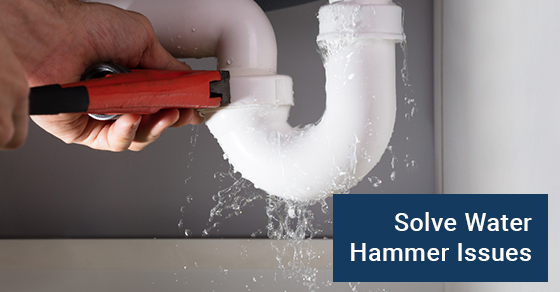 Water pressure that is too high can also lead to water hammering issues. As such, if water pressure is the culprit for your water hammering issues, then installing water pressure regulators can take care of the problem. Instead of installing several air chambers, you can install a pressure reducer valve at the site where the primary water supply enters the property. A pressure reducing valve also has the ability to guard against very high water pressure that can damage water supplied appliances such as toilets and dishwashers. That is, a pressure reducing valve will provide dual protection against high pressure and water hammering, and water pressure that goes beyond 100 psi can damage equipment as well as void a warranty. It should also be noted that conventional water pressure will range between 30 and 50 psi, so if you want to calibrate your water pressure valve, then use a screwdriver in order to ensure that it is within that range. In some cases, installing air chambers may be impractical. As such, an alternative way to install them would be to use mechanical water aerators. Aerators will absorb water movement via an air bladder and spring, and are sealed units. They will help mitigate the dreaded water hammer effect. In most commercial buildings, they are the recommended alternative when utilized for very high water pressure applications. One advantage of mechanical water aerators is that they do not need to be recharged, which is one of the cons of conventional air chambers. However, they will need to be replaced completely after they have reached the end of their lifecycle. Also, due to some of the advantages of mechanical water aerators, codes have been modified in order to eliminate air chambers in favour of mechanical water aerators. In sum, water hammer issues should not be taken lightly. What may seem like an annoying nuisance can quickly become a very messy and destructive issue that can leave pipes and appliances in ruins. Hiring a reliable professional plumbing company in Toronto can eliminate the problem quickly. If you need a professional plumbing company, then you’ve come to the right place. Established in 2012, we are a fully bonded and licensed professional plumbing company in Toronto. 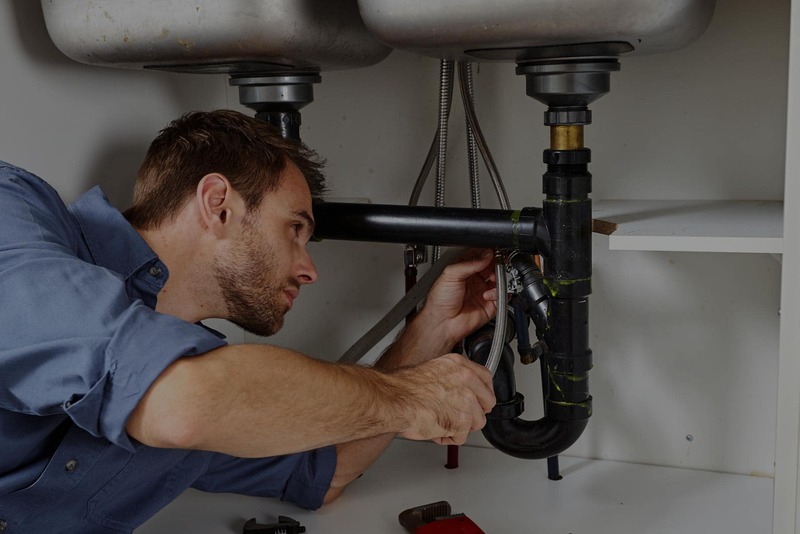 We provide a myriad of commercial and residential plumbing services in the GTA, and all our products and services come with a certified guarantee. To learn more, give us a call at 1-877-205-9436.